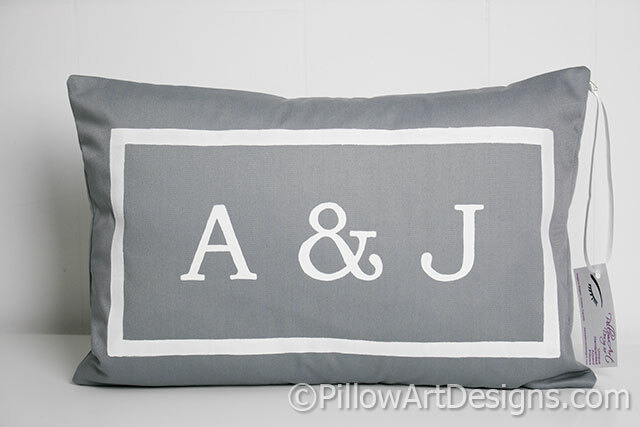 Initials monogram lumbar pillow cover features letters initials with ampersand centered in middle. Sized to fit a 12 inch X 18 inch pillow insert (not included). Outer fabrc is grey cotton twill. Cover is fully lined with white cotton polyester giving it a nice fit and finish. Initials are painted in white fabric paint. Non toxic, will not wash off, flake or rub off. Spot clean or hand wash in cold recommended. Lay flat to dry. Hand made by me, in my home studio in Canada. To order, simply add to cart and go through the check out process. Don't forget to send me an email with your initials for the front. 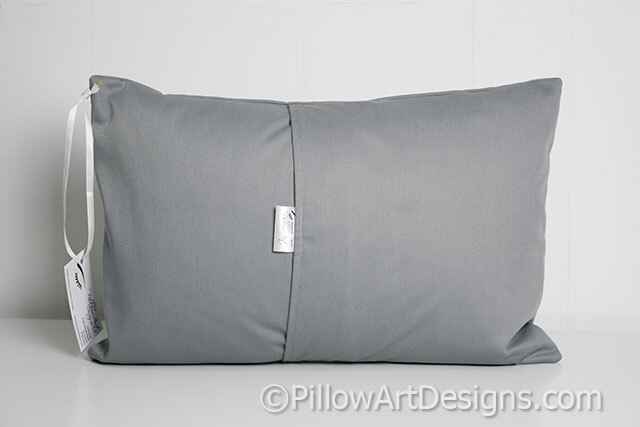 Note: I offer my pillow covers without inserts to reduce shipping costs. If you wish to include a down feather insert with your cover, please contact me here for accurate shipping costs. Down feather inserts are $12 each.